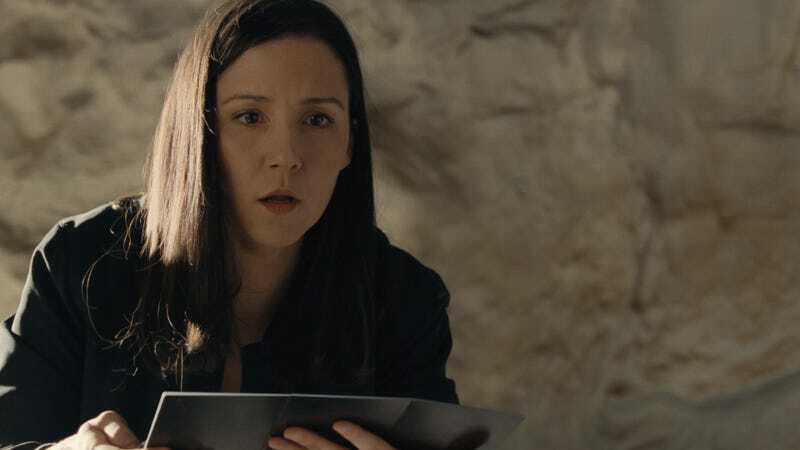 For the past year, Westworld actress Shannon Woodward has been inundated with fans sharing their own theories. So much so, some have been implying that a star of the show knows less than they do. In the interview with Marie Claire, Woodward talked about the fan theory community that’s been with Westworld since the very beginning. It even includes the actors themselves—Woodward said she and co-star Evan Rachel Wood are probably the most vocal cast members about sharing their ongoing ideas. However, she added that sometimes the fans act like they’ve trumped the stars, and it gets a little annoying. When asked if her pointing out her insider knowledge would shut them up, she implied that it actually made things worse. “No, then I felt like they just thought my reading comprehension must be poor, and I really don’t like when that’s questioned,” Woodward said. That said, Woodward doesn’t know everything. She said she was surprised when it turned out Bernard was a host, saying she was “being lied to by literally everyone,” including actor Jeffrey Wright. And for season two, the show has taken even more precautions to ensure that actors don’t know too much about what’s going on. She said actors have been filming sequences out of order, and don’t know their place in the overall narrative. But let’s not forget: She still knows way more than the rest of us.